What not to eat—it seems like every time you turn on the TV we’re warned about another food to not eat. What is the science behind these warnings and recommendations? Welcome to ReachMD Book Club. I’m your host, Dr. John Russell. I’m joined today by Dr. Aaron Carroll to discuss his book The Bad Food Bible. Dr. Carroll, welcome to the program. So, what is your background as a physician? So I am a pediatrician. I’m a general pediatrician. I went to the University of Pennsylvania School of Medicine, and then I was a resident at the University of Washington-Seattle. While I was there I realized that I was much more interested in fixing the healthcare system than, I think, trying to do day-to-day patient work, and so I stayed there and did a fellowship at the Robert Wood Johnson Clinical Scholars program where I also got a Master’s in Health Services Research, and today I spend most of my time doing health services research and trying to improve the ways that we practice medicine by using data and evidence better. So, if you look over our careers, kind of what we share with our patients about food probably has changed a heck of a lot more than that we’re telling people about hypertension or other things, correct? Well, I think we’re just all over the map is the problem with food. I sort of got interested in food because one of my regular gigs is I write for the New York Times about how, again, we can use sort of data and evidence to try to improve health, and whenever I wrote about nutrition, that was what people seemed to be fascinated with. And I was also struck by the fact that so many things about nutrition go one way and then the other and then this way and that way and that we think there’s evidence. And we hear people say, “Well, this has been shown by research,” but often that research is just either bad or totally misinterpreted, and this leads to a lot of confusion about what we should or should not be eating and how that might affect our health. So I think the book is wonderful. You kind of partition all these kind of different topics. And why don’t we dive right in and talk about some of the topics? There’s a real push against saturated fat and butter and I think animal fat in general, especially I felt like in the ‘70s and ‘80s, and then we all sort of switched to margarine, which everybody thought was, well, vegetable oil is going to be so much better than fats we get from animals. The problem, of course, is vegetable oil is a liquid at room temperature and nobody wants to spread that on bread, so they wound up saying, “Why don’t we hydrogenate that oil and that will make it solid?” and everybody loved it, but that was the creation of all those trans fats. And then we discovered later that trans fats are terrible for us, way worse than animal fat, to the point where they have now been completely banned by the FDA. Moving forward in food, no more artificial trans fats are allowed, and so we then shifted back from the margarine that we were all eating. And so there’s still, I think, a general sense that butter is terrible for you, and no one’s going to advocate that you should be eating it by the stick, but sometimes it’s the use of small amounts of butter or things like it that makes good food palatable. It makes vegetables tasty. And I think sometimes in all the noise and our fear that we need to completely abstain from some of these foods like butter, we lose sight of the fact that that’s often how we make it easier to eat so many of the foods that are overall so much better for us. So, red meat bad, chicken good, is that... I mean, I think that seems to be what the common people in America think. Is that true? So, again, it’s really interesting because, of course, not all chicken is the same; not all pork is the same. There’s fattier chicken and less fatty chicken. And what I think people still get hung up on is how much saturated fat is there and how much processing is there. Red meat is the meat that gets demonized the most, and it’s the one that people link all the time to heart disease and to cancer, but the research behind demonizing red meat is not nearly as strong, I think, as most people think. First of all, most of the studies—not all of them—are observational, meaning that they just get people together and they ask what they eat and then they track them for diseases, and that’s often good for finding associations but not for causality. And even in those studies, when they say red meat is associated with bad outcomes, it’s often servings, with an S, of red meat per day. So, yes, if you’re eating multiple servings of red meat a day, you might want to cut back a bit, especially if you have other risk factors for cardiovascular disease or cancer, but that’s not how most people are thinking about it. Most people are thinking, “Well, if I have the occasional steak or I have the occasional burger, is that really going to make a difference?” And even then, the thing that people feel strongest about is that processed red meat—that’s where most of the smoke is. That’s where maybe the fire is. And if you look at it, they’ll say, “Well, it can increase your risk of cancer by 18%.” And that’s the data that the WHO uses. That’s the data most people cite. It’s still observational in nature, but they say that eating processed red meat will increase your risk of cancer by 18%, but that’s a relative risk increase, and so it’s important to recognize what that means in terms of absolutely increasing your risk. So I went to the government. It’s the NCI. It’s their Cancer Risk Assessment for colon cancer. And based upon me, Aaron Carroll, if I were 50—and I’m not yet 50—over time, my overall lifetime chance of getting colon cancer is a couple of percentage points. Let’s just for the sake of argument say 4. Then an 18% risk would mean not going from 4 to 22. It means going from like 4 to 4.8-ish or something like that, which is not that much of an increase, and that’s if I commit to eating an extra serving of processed red meat every day for the rest of my life. So if I say I will start today to eat an extra 3 pieces of bacon every day for the rest of my life, then my overall chance of getting colon cancer may go from 4 to 4.8%. That’s not that much. That won’t scare people nearly as much. I’m also not going to eat that much bacon. I don’t want 3 pieces a day every day for the rest of my life on top of what I normally eat. I don’t need it. I don’t want it. That’s not how most people are going to do it. And so even if that risk exists, and it’s not clear that it does, it’s not nearly as big as a lot of the news would have you believe, and so the overall risks from some of these foods just are not nearly as bad as people think. And then turning to eggs, I think of any food over the course of my career, the egg has kind of ping-ponged. Is an egg good or bad? What’s the data on that? Yes, this is another one. So, when I was a kid—again much in the way we were sort of turning towards margarine—everybody was starting to get panicked about cholesterol, and therefore, everybody said, “Well, look, clearly foods that have a lot of cholesterol in them have to be terrible for you. That will raise your cholesterol level. We’ve got to avoid them.” And so egg yolks gone, shrimp gone, people started eating egg white omelettes, which personally are like a crime against nature. I don’t understand why people like them. I don’t understand why people tolerate them. But that’s what we did because we thought eating cholesterol made you have high levels of cholesterol and that would lead to heart disease. But then they started to do better research and even randomized controlled trials where they would take people at high risk for high cholesterol levels and they’d randomize them. You eat a couple of eggs a day every day, you eat no eggs, now swap it, and then they measured their cholesterol level, and it turns out that for the vast majority of people, what we eat in terms of cholesterol has very, very, very little relationship, if at all, to what our plasma cholesterol levels are, that the vast majority of the cholesterol in our bodies is made by our bodies; it is not eaten and then turned into cholesterol. And these days people are thinking it’s much more likely saturated fats that we’re eating that has cholesterol, but it turns out that dietary changes don’t make nearly the impact on cholesterol that we would like, especially not eating cholesterol, which is why, of course, there are now so many drugs to try to control cholesterol levels, so much so that in the last set of USDA guidelines, they actually said for the first time cholesterol is not a nutrient of concern, meaning that it’s not something you need to monitor how much cholesterol you’re eating because that’s going to have an impact on your health. Go ahead, eat all the eggs you want again. It’s been taken out of the guidelines, but still trying to convince people that what we said before was utterly wrong, it takes a long time and many years until we can convince people to listen to us again. So I think the conversation I have most often in the office about diet is talking about salt. We certainly have enough hypertensive patients. And is that an overblown? Am I worried too much about that, really talking to my patients about watching their salt? There’s a reasonable amount of evidence that people with high blood pressure who eat a lot of salt are in significantly more danger of a bad cardiovascular outcome than if they didn’t, so yes, by all means, if you have high blood pressure and you are at the upper end of the spectrum in terms of how much salt you’re eating, you should eat less. The problem is that we make very big blanket statements about what Americans overall should be eating, how much they are eating, than what they should do. There were 2 great papers in the New England Journal of Medicine a couple years ago. They were both of the same study, but they were huge cohort studies, multinational, where they looked first at blood pressure and then at outcomes based upon whether people were consuming more than 7 grams of salt a day, somewhere between, say, 3 to 6, and then less than 3, meaning a low-salt diet, and what they found out was that, yes, if you have high blood pressure and you’re eating more than 7 grams of salt a day, that’s a problem, you have a significant risk, but if you were eating less than 3, I mean really low levels, you had an even higher rate of death and an even higher rate of cardiovascular bad outcomes. People will say maybe that’s because they were the sickest, but they did control for all of that. There have been multiple studies which have shown that very, very low-salt diets don’t work like we think they are going to, and that the average person studied across the world has a salt intake of about 3.4, 3.6 grams of salt a day, which is right in the sweet spot of what these studies show. That’s on the lower end of normal or lower end of it and that that is probably safe for many, many, many people, but that’s not what we say. We tell all Americans that they need to eat much less salt. The FDA says 2.3 grams of salt a day. The WHO says, no, no, no, don’t do that. It needs to be 2. And then the American Heart Association says 2. And what are we doing? It’s got to be 1.5. There’s no evidence really that these very, very low-salt diets have any benefit to the vast majority of people who don’t need to be on them, and there’s increasing evidence that they might not be good, that they are associated with bad outcome. And yet, getting people to change what they understand or what they might say about it is very, very slow, and still we’re telling everyone you have to eat these very, very low-salt diets. There’s just not much evidence to support that. And probably the topic that seems to be kind of the most bandied about is gluten, right? So, certainly, we have patients who have celiac disease, and that’s a different entity, but there are people who are ascribing a gluten-free diet for every illness under the sun. Is there any science to that? There’s just not. I like to call this one the panic du jour. This is what everybody seems to be afraid of at the moment. Yes, if you have celiac disease, which is an immune response to gluten in your gut, which is something like 1% of the population, by all means do not eat gluten. If you have a significant wheat allergy and you find that cutting out wheat, cutting out gluten, because that’s helping you keep away from—by all means do it, but that’s less than 1% of the population. Everybody else, and it’s something like a quarter of Americans, who are seeking out gluten-free products in some way, no one knows what they are doing it for. There have been really good, careful studies trying to look at gluten insensitivity or gluten sensitivity, or whatever clinical diagnosis people want to put on it, and it turns out that very few people actually are using the diagnosis accurately, and even when they do, being put on gluten-free diets does not benefit them the way that we think it would in randomized controlled trials, which would lead one to believe that these people are not really seeing a benefit from trying to eliminate gluten from their diets. Why is this a problem? Well, gluten-free food costs a lot. Gluten-free food often messes up the other nutrients that we might want. Gluten-free foods often have more carbs in other ways, or they can have more, again, sodium. They can be lacking in vitamins and minerals. It can make it harder to eat, again, foods that satisfy a normal, well-balanced, healthy diet, and it gives us again a lot of fear and puts us in the mindset of there’s something hidden or dangerous in food, when really that’s not where the danger lies. We all want to be eating healthy, well-balanced diets, but we’re not going to get there by taking and demonizing individual nutrients, especially when they’re not nearly as dangerous or fearsome as people believe. Now, if by eliminating gluten you are avoiding processed foods and eating a better diet in general, more power to you. I’m not trying to convince you not to do that. I’m not advocating that you should be eating more bread, because I just finished saying we should try to avoid processed foods in general, but there’s no reason to live in fear, and there’s no reason to avoid other foods that you otherwise love and could be part of a healthy diet because you’ve been led to believe that gluten is somehow truly dangerous to so many people. It’s just not the case. So, how about alcohol, good, bad? So, I mean, of course too much alcohol is horrible, and no one should be under any illusion. Alcohol is terrible. Alcohol and alcohol-related morbidity and mortality is huge even in the United States of America. And people at the upper end of the alcohol consumption spectrum absolutely are doing themselves a terrible disservice by drinking that amount. Having said that, alcohol consumed mindfully and in small to moderate amounts, there’s not much evidence that that’s nearly as bad for you as people think. Now, people will talk about the cancer risk and how even a tiny amount of alcohol will raise your risk of cancer, but as I discussed before, first of all, that’s a relative risk, so when you hear 4, 10, 20%, that’s a relative risk, and if your overall risk is less than 1% to begin with, then even raising it by 4 or 10% doesn’t really change your life that much. Plus, while a lot of the observational studies will show increased risk of some cancers with alcohol, others actually show a decreased risk, and so the overall effect is not nearly as severe as people would have you believe. Plus, we can’t cherry-pick, as I said before. You can’t just be worried about cancer. And it turns out that there’s a reasonable amount of evidence that with respect to heart disease, small to moderate amounts might actually be beneficial, and so beneficial and heart disease is so prevalent that they might overwhelm the negative effects with respect to cancer. I’m not advocating that people should go out and start drinking if they don’t, but it’s important to recognize that if you enjoy the occasional alcoholic beverage—and I do—that you shouldn’t live again in fear. The danger from responsible drinking is not nearly as bad as people would have you believe, and there are even potential benefits. And again, the USDA most recent guidelines say responsible alcohol consumption in a small to moderate level is part of a healthy diet, and they are a pretty conservative group in general. As I said before, they were demonizing cholesterol before they should not have been. And so I think people worry about alcohol more than they need to. Again, I can’t stress this enough. If you’re consuming too much of it, of course, and get to the point of being dependent or addicted to it, or if it’s causing problems in your life, by all means stop. I’m not advocating that people should drink unlimited amounts of alcohol or that it should be a problem in anyone’s life, but responsible alcohol consumption—for women, most organizations say no more than 1 drink a day, 7 in a week, and for men, 1 to 2—there seems to be a moderate amount of evidence that that is perfectly fine and that people shouldn’t worry about it so much. One of the things that stood out in the book is kind of how alcohol use is distributed amongst the United States. So I was shocked to see how few people have 6 or less drinks per year in the United States. Oh yes, I think it’s something like if you add up the people that never drink and the people that, like, have a glass of champagne at New Year’s Eve, meaning they almost never drink, that’s like more than half the population in the United States. We are a country of non-consumers of alcohol. The fact that we worry about over-alcohol consumption is because a very small percentage of people are drinking an unbelievably large amount of alcohol; like the top 10% of alcohol consumers in the United States are absolutely, positively in alcoholism territory, drinking on the order of like 3 ½ cases of beer a week. It’s a small percent of people consuming way, way, way too much alcohol that are skewing the statistics and driving a lot of the morbidity and mortality that we see from alcohol consumption in the United States. If we could help those 10% of people, the other 90% are probably doing just fine. Certainly, 80% of people are doing great, and the last 10% are probably doing okay. It’s that top 10% that are just way over the edge, and that’s where almost all of the problems come from. So alcohol leading to liver disease, am I just going to tell them to have a nice cup of coffee? Well, coffee… Yes, it’s like... I mean, yes, absolutely. Coffee is probably the first thing I think I wrote about nutritionally at the time, and it was the one that sort of shocked me the most, because I have always been led to believe my entire life that coffee is one of the things that’s a vice, limit it as much as possible, get off of it if you can, but evidence in favor of coffee is almost overwhelming. I mean, almost every study and every meta-analysis you could find leans in the favor of that drinking coffee—and when I say drinking coffee, I don’t mean like a cup a day, even up to like 5 or 6 cups a day—is more associated with a good outcome than a bad, even with respect to cancer, with respect to heart disease, with respect to diabetes, with respect to depression or even cognitive decline, and even with respect to liver disease. People who don’t yet have liver disease who drink more coffee are less likely to get it. People who have liver disease, the people that drink coffee are less likely to have it progress. Even if after it’s progressed, people who drink more coffee are less likely to have bad outcomes or cirrhosis. So at almost any level, moderate coffee drinking, and even what most of us consider to be high, is good to the point, again, where it’s like I’m not going to sit here and tell you if you don’t drink coffee that you must go drink coffee. Even though some of the papers actually say that, I won’t, but running again with the theme of the book, we shouldn’t be afraid of it. It’s not a vice. It’s not something that you must cut back on. It’s not an addiction. If you like coffee, great. There’s no reason for you not to enjoy it. It absolutely can be a part of a very healthy diet. If anything, it’s associated with more good benefits than bad. 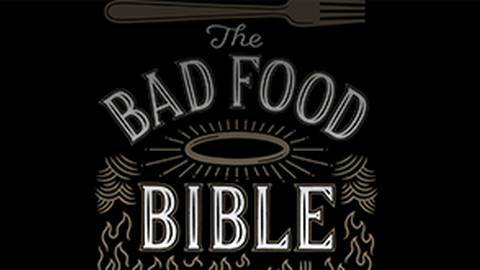 So the book is The Bad Food Bible: How and Why to Eat Sinfully. Aaron Carroll, thank you so much for being on the show today. 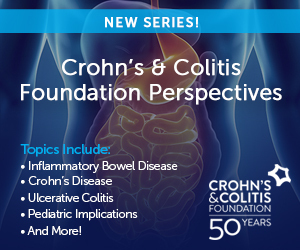 To listen to this program again or for more on the series, tune into ReachMD.com/BookClub. From food fads to dated diets, it seems like there’s always something new we should or shouldn't be eating. Is it the truth or just misinformation? Over the years, the world of food has taken drastic swings, such as the demonization of butter in the '70s and today’s obsession with gluten-free foods to cut out carbs. Dr. Aaron Carroll, author of The Bad Food Bible: How and Why to Eat Sinfully, dives into the myths surrounding nutrition and why common sense might just be the answer to eating healthy.